Offering some of the best high-end journeys across Europe, Ormina Tours continues to trump other tour operators this year by upgrading and offering more five-star hotel inclusions. With four of their top selling Italian Tours showcasing new hotels, it is a pleasant surprise that there will be no changes in tour pricing, continuing to enable clients to experience luxury at an affordable price. The new hotels include; Villa D’Este in Lake Como (as part of the Italian Lakes & Swiss Mountains Tour), Ortea Palace in Syracuse (as part of the Sicily Bella Tour), and the De La Minerve in Rome (as Part of the Ultimo and Highlights of Italy North Tours), all of which offer a spectacular five-star experience and unbeatable central locations. After a recent trip to Italy, Ross Ioppolo, CEO of Ormina Tours, said that “while doing some hotel inspections, we saw an opportunity to offer greater value across some of our best-selling tours… these upgraded five-star hotels endeavour to inspire and authenticate our client’s experiences”. The new 5* Ortea Palace Hotel in Sicily brings a new level of luxury to Syracuse. The hotel maintains the original charm of its historical building while including all the modern luxury amenities guests come to expect. The hotel is located right in the heart of Syracuse’s historic centre, Ortigia. 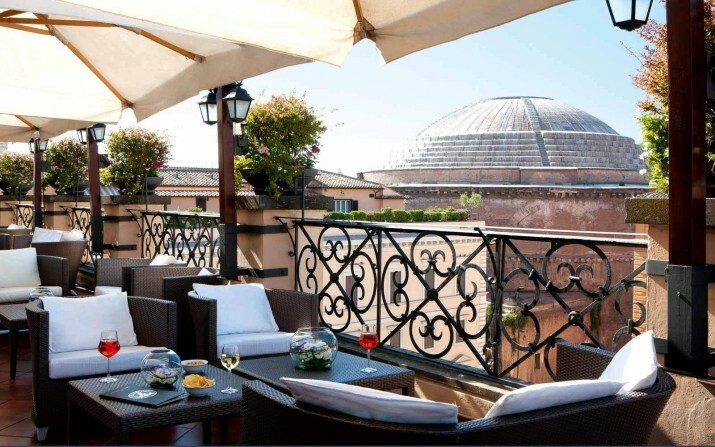 Also newly renovated, and unable to beat on location, is Rome’s De La Minerve hotel, a magnificent mansion dating back to the 1600’s, which overlooks the Pantheon and is just a few minutes walk from the Piazza Navona, the Trevi Fountain and the Spanish Steps. The stunning Lake Como property, Villa D’Este, is set right on the waterfront and has been hailed as one of the best hotels in the world by Travel & Leisure, Condé Nast Traveler and Forbes Traveler. The famous resort has been widely praised for its beautiful gardens, exquisite cuisine, gala celebrations, impeccable décor and extraordinary hospitality. As experts in the European Tour Industry, Ormina Tours continues to offer the best services and value available to the small group touring and private journey market.